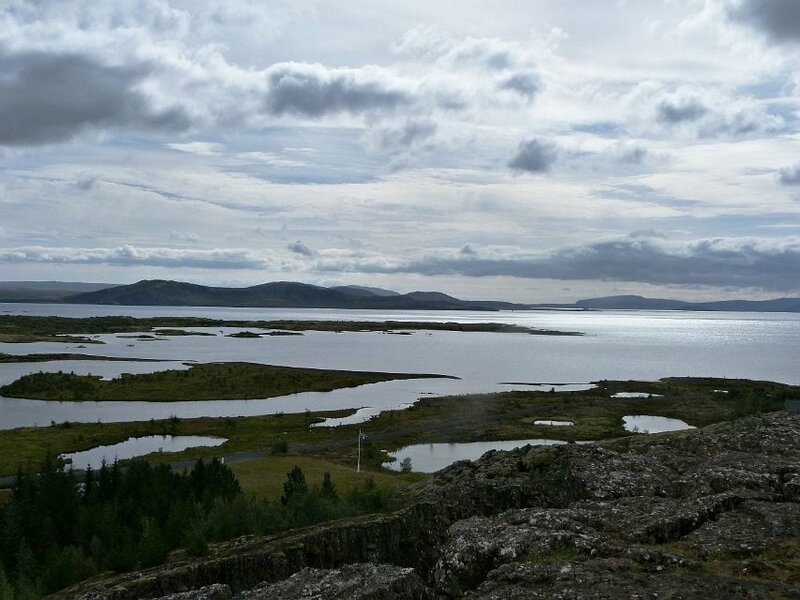 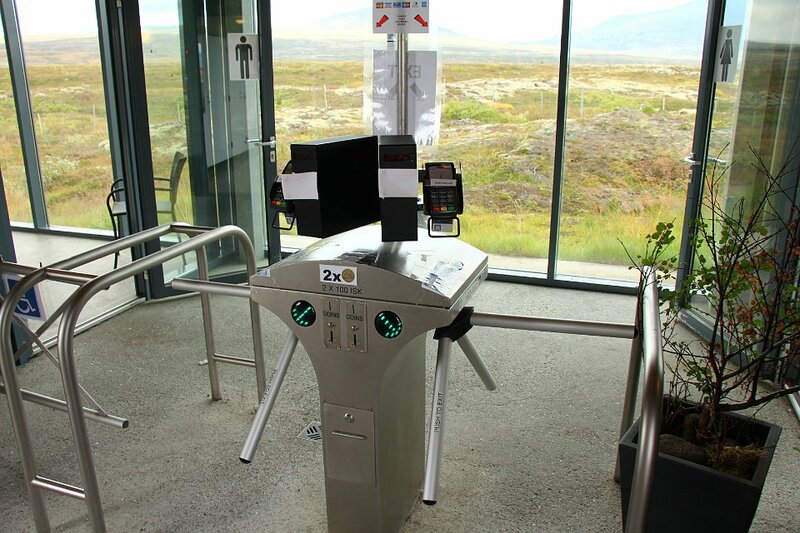 Drove up to Þingvellir (pronounced thing-vett-lur, stress on first syllable). 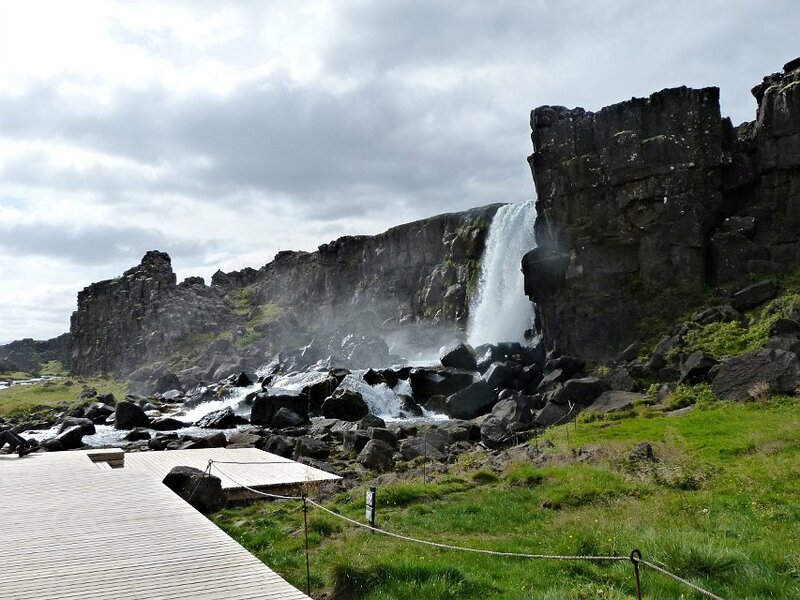 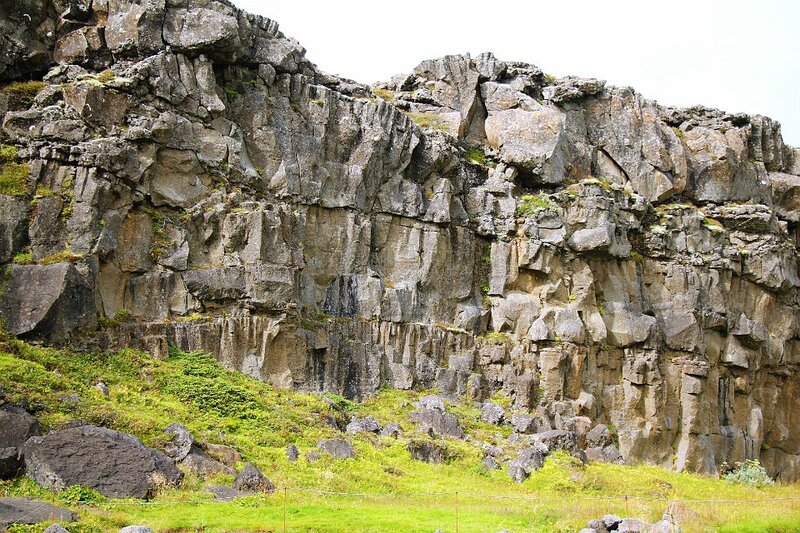 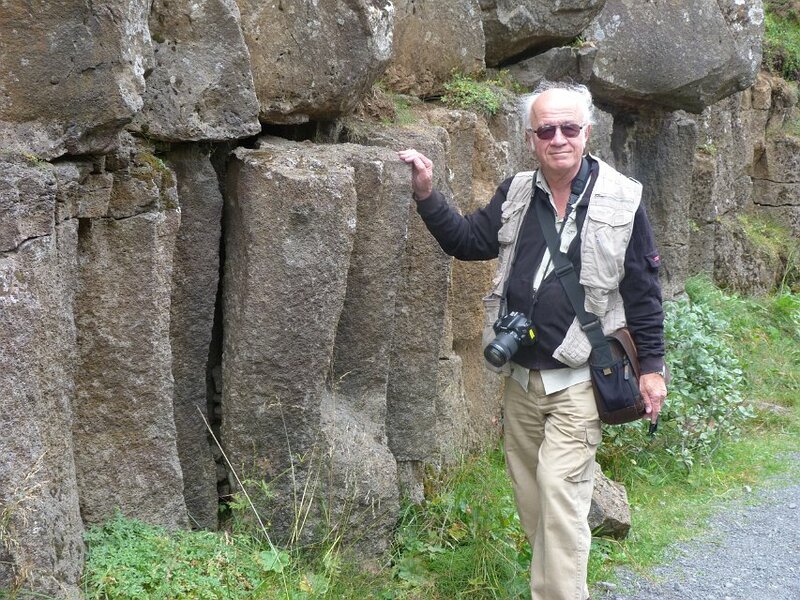 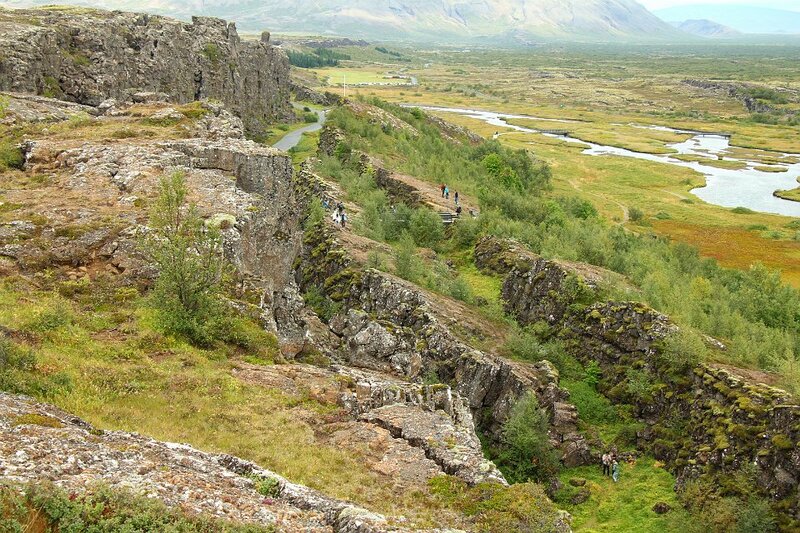 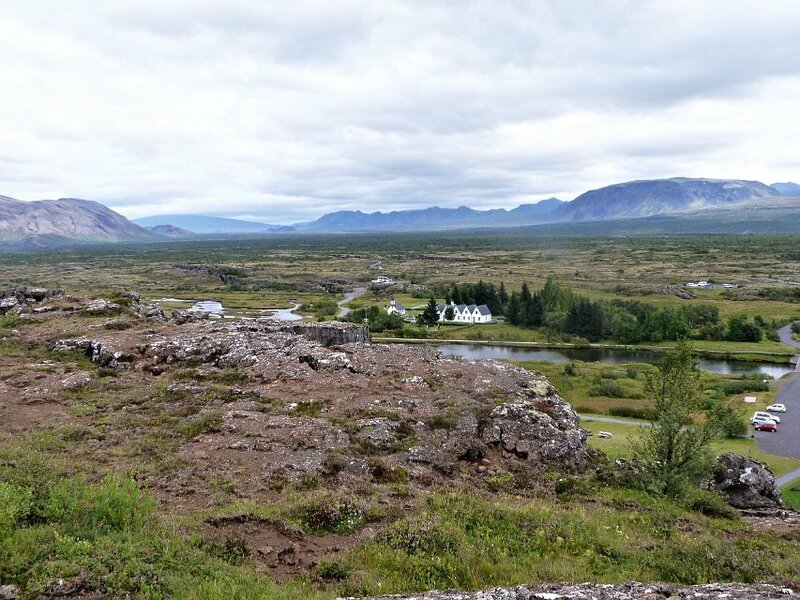 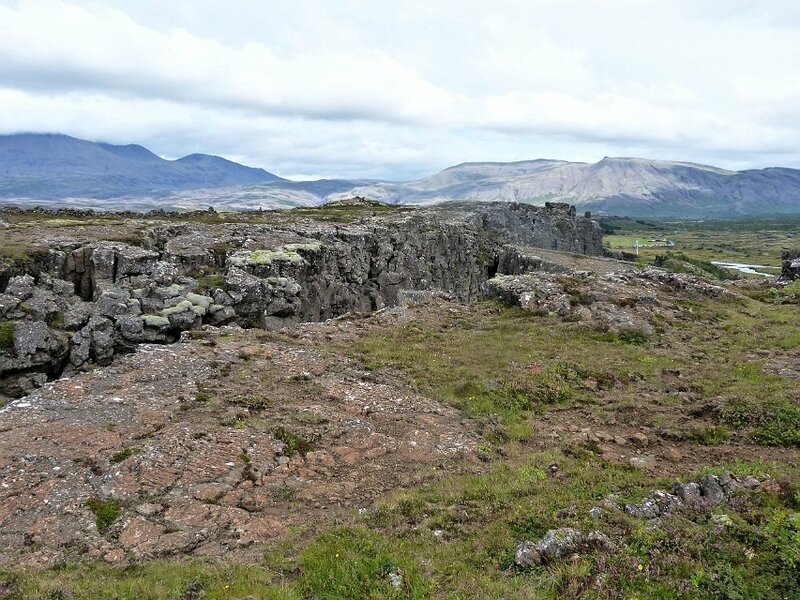 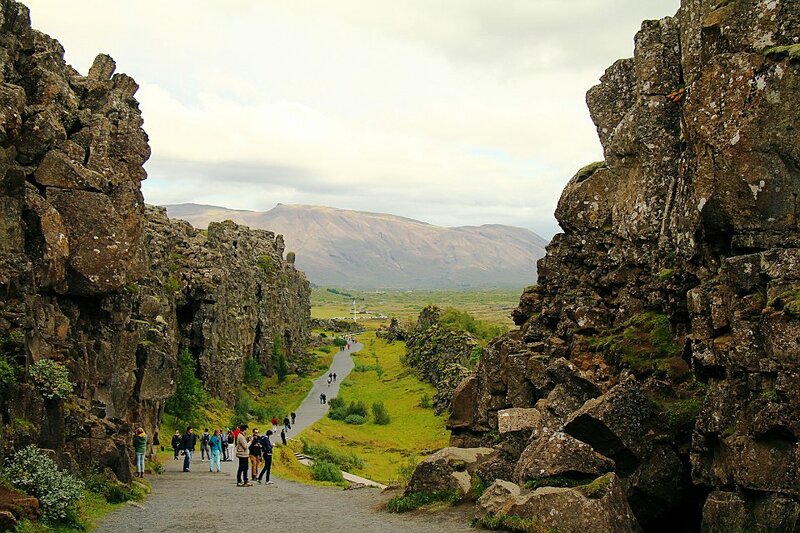 It is the site not only of the original Icelandic parliament, the Alþing, but of great geological interest, as one can clearly see where the American and European tectonic plates are rifting apart. 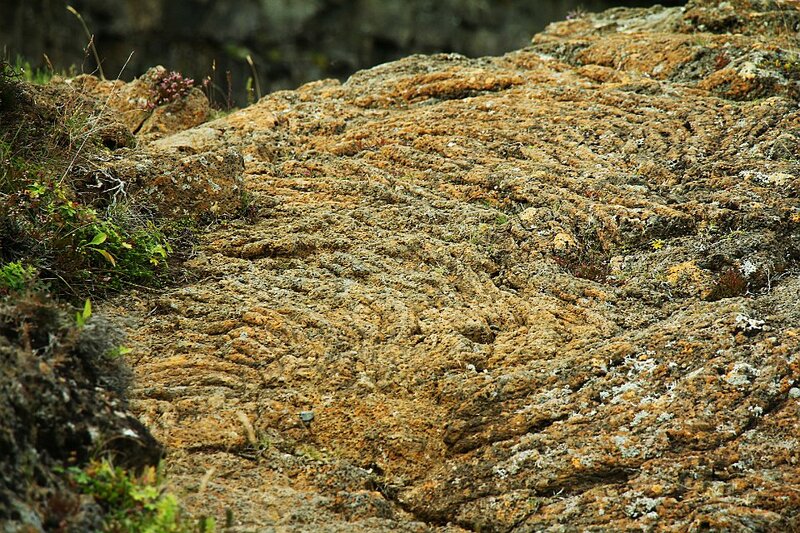 Only here and in the African RIft Valley does the rift rise above the surface of the Atlantic Ocean. 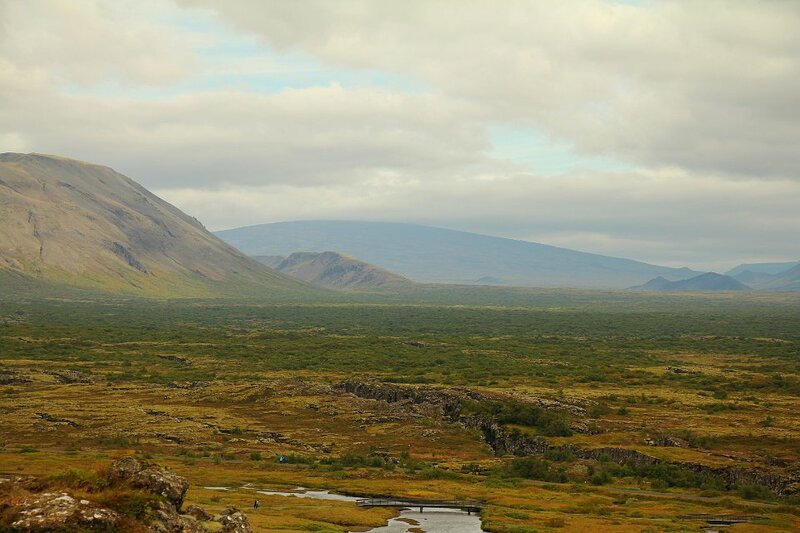 1 As soon as we got well outside of Reykjavik, we fell completely for Iceland's landscapes, of which this is one type. 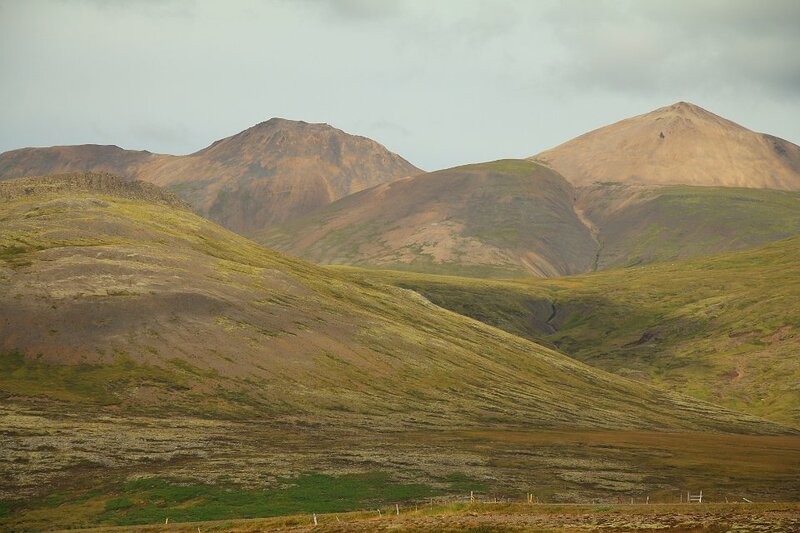 2 The colors of the hills and fields are astounding! 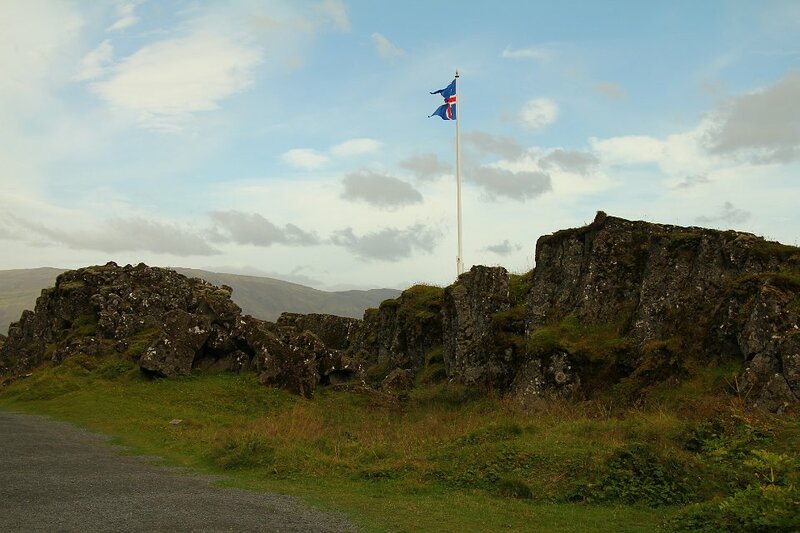 4 The Almannagjá; visible in the background, at the flagpole is the ancient law rock, where chiefs of regions assembled to discuss matters of law 800 years ago = the world's oldest, still-running parliament. 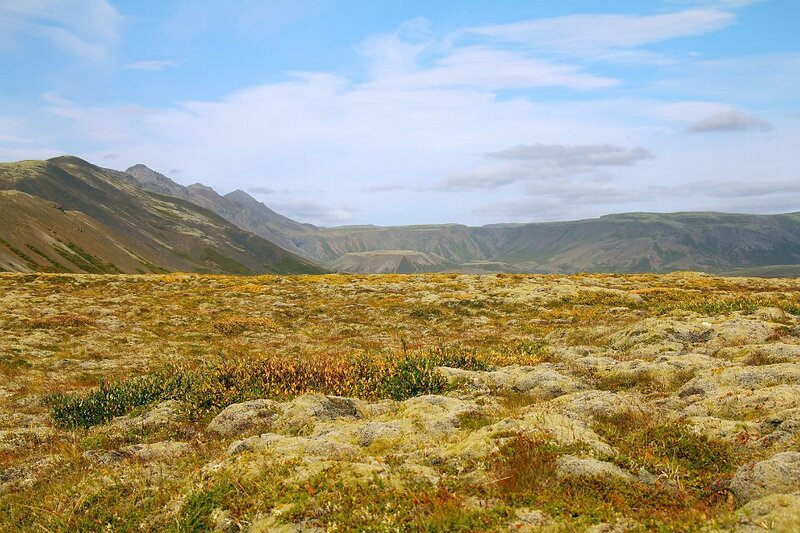 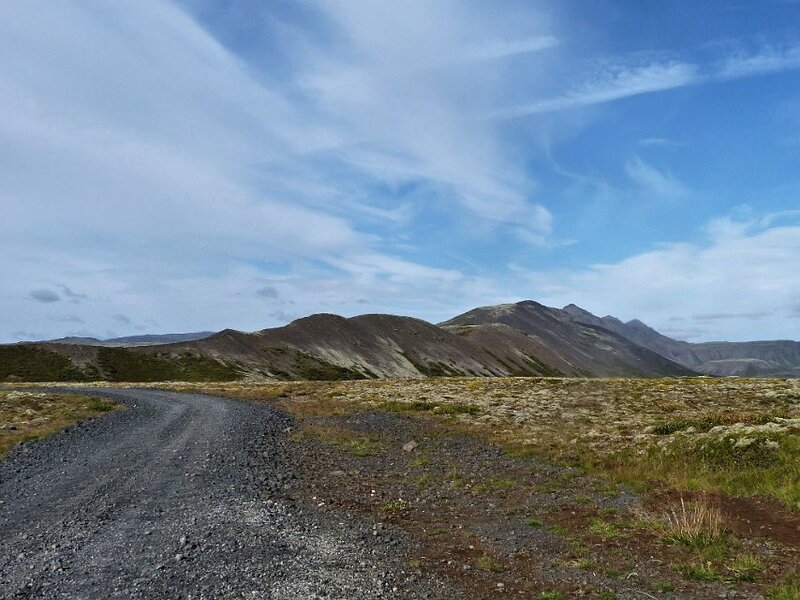 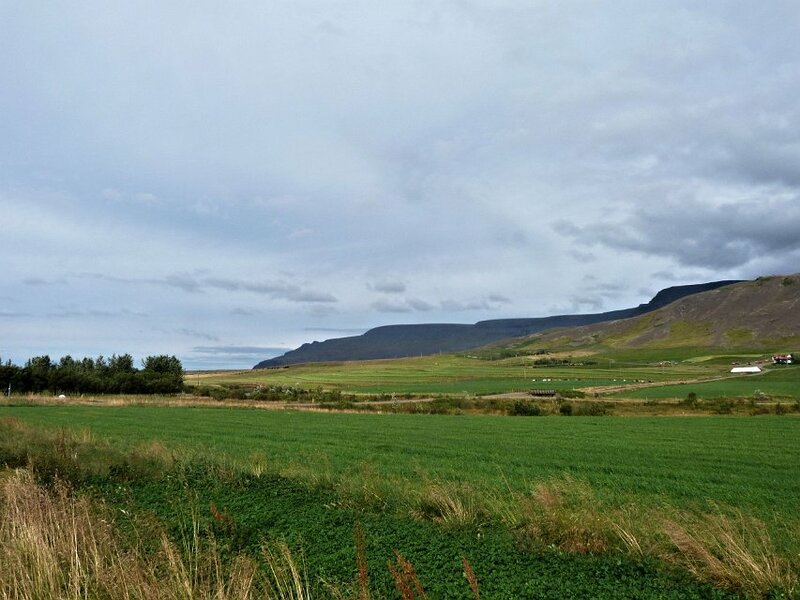 8 The Almannagjá rift extends north for 7.7 km.